Step 1 - Type www.krogercommunityrewards.com into your browser. Step 2 - Choose the “Sign in” or “Create an account” button at top of page. Step 3 - Enter your email address and password and either click the “sign in” or the “save and continue” button. Step 4 - If you are creating a new account, enter your zip code and press find stores.Select a store and press save and continue. Select whether or not you have a Kroger Plus card and press save and continue. Sign up to Receive Special Offers by E-Mail and press save and continue. Confirm your account and press complete registration.Check your email to Activate Your Account. Click on the link to confirm your e-mail address and selected preferences. Step 6 - Scroll down and click on the “Community Rewards” link. Step 7 - Click on the Edit Community Rewards Program Information button. Step 8 - Enter 81380 in the Find Your Organization box and press search. Step 9 - Click on the by “Worthington Kilbourne Band Boosters” then press the “save changes” button. 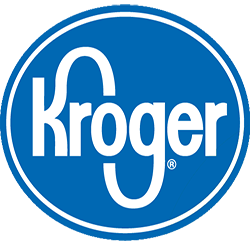 Step 10 - You will be returned to the Account Settings tab of your Kroger card profile. Step 11 - Click Community Rewards again, and you will be shown the Worthington Kilbourne Band Boosters with our enrollment number 81380 and your enrollment date. Step 12 - You are now registered!!! Thank you! !